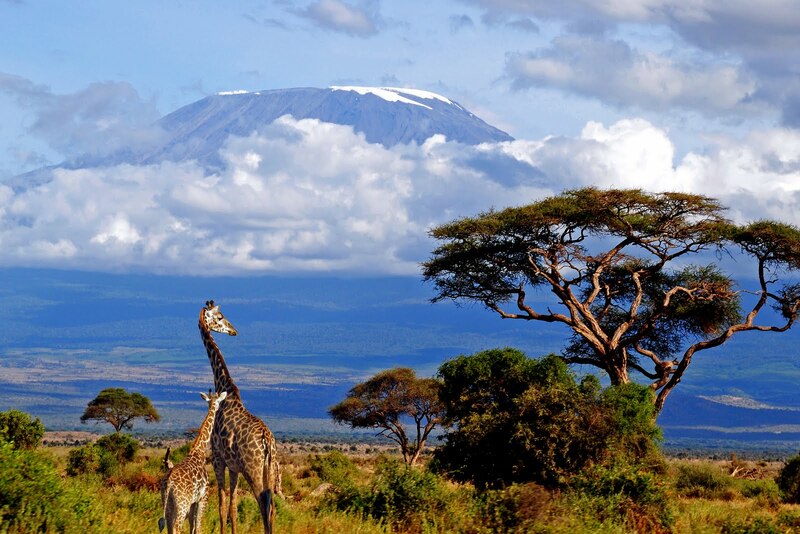 Tanzania is an East African country known for its vast wilderness area. It's population of 43.6 million is made up of approximately 125 different ethnic groups. Due to its fertile lands, rich resources, abundant wildlife and geological and archaeological history, Tanzania has been much coveted by Western societies. Because of this Tanzania has seen streams of travellers, traders and researchers throughout its diverse history. Tanzania was a major port of trade, particularly on the coast and Zanzibar (nicknamed the Spice Islands) between countries from the East and has been greatly influenced by a number of cultures including Arabic, European and more recently Indian cultures. It has been called the “cradle of mankind” by archaeologists and anthropologists and is home of the first Hominids to be discovered in Africa by Mary and Louis Leaky in 1959 at Oldupai Gorge as well as countless other fossils and the famous Laetoli footprints. Tanzania’s geography, climate and environment vary greatly from region to region. From the tropical mountainous regions of Kilimanjaro and much of Manyara as well as the Arumeru and Arusha districts of Arusha region, to the semi desert region of Dodoma, Tanzania represents a wide range of different environments. The geography of Tanzania is particularly spectacular. The coast of Tanzania with its tropical palms, dazzlingly white sandy beaches and blue-green seas is among the most beautiful areas of Tanzania. The view over the rim of Ngorongoro crater to the crater floor below is especially breathtaking as is your first glimpse of elusive Mount Kilimanjaro, which still inspires awe in those who have lived beneath it for much of their lives. Tanzania is also world renowned for its great lakes, the biggest being Lake Victoria (Lake Nyanza) in the North, home of countless ethnic groups; the Sukuma, Nyamwezi and Kurya to name a few, followed by Lake Tanganyika to the West. Other smaller but equally spectacular lakes include Lake Rukwa to the south and Lakes Eyasi, Manyara and Natron to the north. Many of these regions and geographic locations are divided into a number of national parks such as, the Serengeti, Transpire, Manyara and Arusha, conservation areas, reserves and game controlled areas. Due to the high cultural diversity of Tanzania it is difficult (as in many parts of the world) to generalise Tanzanian people and their culture. Visitors often comment on the warmth and friendliness of Tanzanian people and their ability to greet you with a smile regardless of the hardships they may be facing. Being forced to generalise then it is fair to say that Tanzania is a conservative country where modesty, hospitality and generosity are highly valued and important. Fully committed to dolphin conservation!